When your doctor is choosing among treatments – whether it’s deciding the right drug to help lower cholesterol, or which pain medication to use when you’re lying in the ICU – you’d like to think he or she is weighing pros and cons, based on carefully compiled medical evidence. Unfortunately, that picture is far from reality. A new study in the Journal of the American Medical Association helps to quantify the problem. The paper, by researchers at the University of Southern California, says that fewer than a third of research studies published in the most influential medical journals even look at whether a prospective treatment is safer or more effective than what’s already in use. Some people think the FDA should require drug makers to prove that a new drug not only is effective, but that it works better than existing treatments on the market. However, in a JAMA commentary published alongside the new study, Dr. Alec O’Connor of the University of Rochester School of Medicine says that federal regulations can be interpreted to mean that the FDA is not even allowed to reject a drug’s application, as long as it works better than a placebo. Dr. Jerry Avorn, a professor of medicine at Harvard Medical School who has written extensively about the drug approval process, says that the results aren’t surprising and that a better system might have caught the problems with blockbuster drugs such as Avandia and Vioxx, before they came into wide use. Avandia, a drug to treat diabetes, has been linked by the FDA to more than 80,000 heart attacks. Vioxx, an arthritis medication, went on sale in 1999 but was pulled from the market in 2004 after studies showed it caused a higher risk of cardiovascular problems. “If you’d been shown the facts about Vioxx and Avandia in Year One instead of Year Five, it would have saved a lot of lives,” Avorn says. Hochman and his co-author found that most so-called “comparative effectiveness” research is funded by universities or government agencies, as opposed to being done by pharmaceutical companies. Not only did he find that most researchers ignore established therapies, Hochman says that of the 328 studies that he looked at in the major journals, only two included a formal analysis of cost. The findings have to be discouraging for those who support a bigger role for so-called “comparative effectiveness” in the practice of medicine. The health care overhaul being promoted by President Obama envisions a system under which vast amounts of data on different treatments would be collected and analyzed, with evidence pointing to the most helpful and cost-efficient therapies, which might also shape the decisions made by insurers and by the federal government in its role as the overseer of the Medicare and Medicaid programs. The health care bill passed by the Senate gives $165 million over three years, to a new agency, to fund and oversee comparative effectiveness research. The president’s 2011 budget includes $286 million for the same research. 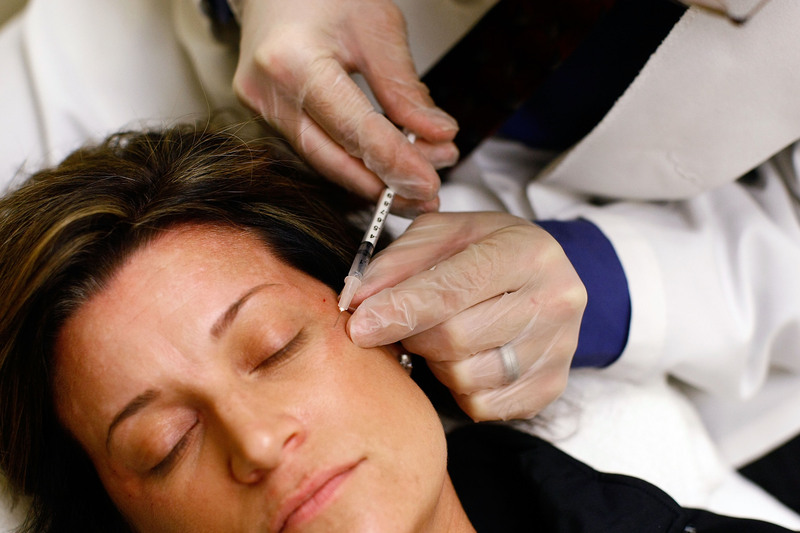 A bad economy only slightly deterred Americans from flocking to cosmetic procedures last year. The American Society for Aesthetic Plastic Surgery released figures Tuesday: Almost 10 million cosmetic surgical and nonsurgical procedures were performed in the United States in 2009. Despite the recession, Americans shelled out almost $10.5 billion to get pretty. Compared with the previous year, there was a 2 percent decrease in the total number of procedures. Dr. Richard Fleming, a facial plastic surgeon and co-director of The Beverly Hills Institute in California said a fresher look enhances job prospects. Fleming said even the unemployed shell out the bucks to get cosmetic procedures. About 85 percent of the total procedures were nonsurgical ones, according to American Society for Aesthetic Plastic Surgery. These types of procedures, such as Botox and chemical fillers to reduce wrinkling, cost less than major surgeries. Live kidney donation is a safe, effective procedure that poses little risk for the premature death of the donor, reports a new study in the Journal of the American Medical Association. That's welcome news to the more than 106,000 people on the United Network for Organ Sharing (UNOS) transplant list who are waiting on potential donors as of this writing. The JAMA study is the first of its kind to review the health of live kidney donors over an extended period of time. Researchers looked through more than 80,000 records of people who had donated a kidney between 1994 and 2001. They found that for every 10,000 donors, there were only 3.1 deaths within 90 days of the transplant. Being over age 50 or obese at the time of the transplant did not increase a donor's risk of dying prematurely. "Kidney donation surgery is an extraordinarily safe operation in terms of...risk of death, the most serious surgical complication," explains Dr. Martin Zand, medical director of the Kidney and Pancreas Transplant Programs at the University of Rochester Medical Center. Zand says that recipients worrying about potential kidney donors' health has become major point of concern during the transplant process, even though the number of live kidney transplants performed annually has nearly doubled over the past 15 years. Today nearly 6,000 live kidney transplants happen every year. "By donating a kidney, they're concerned their donor will put themselves at risk for everything from minor surgery to development of kidney disease to death," says Zand. "These donors are family members or partners but also people that come forward from the community." The hope within the transplant community is that this information will ease some of the concerns expressed by both potential donors and their recipients, particularly because no other research has followed so many live kidney donors for so long. Generally donors must complete an education process that outlines the risks associated with transplants, before they can donate a kidney. The goal is to make sure each donor is as informed as possible about the surgery they've elected to have. "There's an enormous value to this, in terms of public health, in terms of medical practice, " says Zand.